Unfortunately, default Magento 2 doesn’t allow to attach files to product pages. As a result, you are limited when it is necessary to provide customers with some additional information, such as PDF documentation, catalog, detailed product tutorial, etc. However, this problem can be as always solved with the help of third-party Magento 2 product attachments extensions. Below, we compare three reliable Magento 2 file upload modules that provide the desired functionality: Amasty Product Attachments, Mageworx File Downloads & Product Attachments, and M-Connect Product Attachment. First of all, we would like to draw your attention to the backend usability of all three Magento 2 file upload modules. Let’s see how each Magento 2 product attachments extension changes some common elements of the Magento 2 admin. 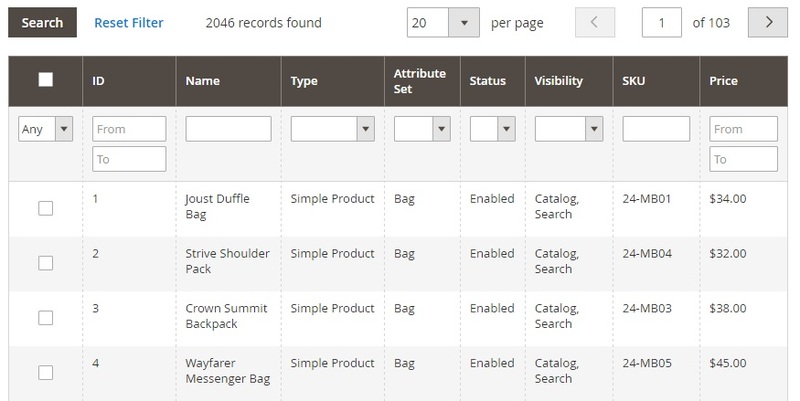 The first page we are going to examine is located under Products -> Inventory -> Catalog. Here you can find a grid with all products. So, how does each module change the default functionality? In case of the Amasty Product Attachments Magento 2 extension, the default grid gets a new column – Upload Attachment. It radically simplifies your interaction with product attachments, since you can add them without going to a backend product page. Just click or drop files in the corresponding area. Next, there is the Attachment List column that shows attached files and provides appropriate download links. 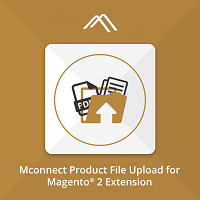 As for the Mageworx File Downloads & Product Attachments Magento 2 and M-Connect Product Attachment modules, they do not change the default grid. Now, we should pay attention to product pages available in the backend of the Magento 2 file upload extensions. 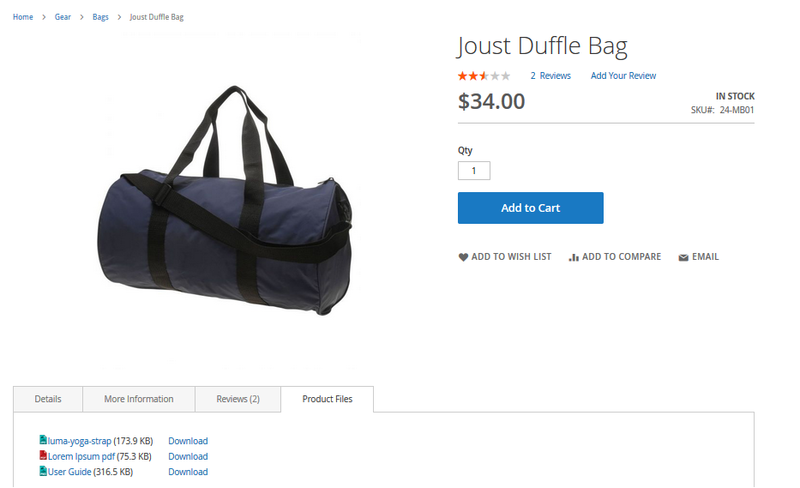 Although the catalog grid is modified only by Amasty, product pages have changes in all cases. The Product Attachments section of the Amasty Magento 2 Product Attachments module allows you to add an unlimited number of files to a product page. You can create a custom attachment label and a file name, add a new file by simply placing a link to it or browsing, select customer groups to display the file to, show it only if a product is ordered, as well as enable/disable display on the frontend. The appropriate section of the Mageworx File Downloads & Product Attachments Magento 2 extension also provides adequate information on the product attachments. You can check such parameters like section, name, file name and type, its URL, date modified, and if it is activated or not. The M-Connect file upload extension provides a simpler configuration for the product page. The attachment info includes a file ID, name, and path. Amasty Product Attachments and Mageworx File Downloads & Product Attachments implement slightly different approaches to the way files are attached to product pages. Therefore, we should examine extension-specific sections of the backend to understand whether Amasty provides a more reliable tool, or both Magento 2 modules are equal. The Amasty Product Attachments section contains three pages: List Attachments, Icon Management, and Mass File Import. The List Attachments grid of the Magento 2 product attachments extension shows downloadable files and products to which they are attached. The grid illustrates file ID, name, and size, as well as product ID and SKU. You can download each file here. The Icon Management section of the Magento 2 product attachments extension allows you to add custom icons to each file type. As for the Mass File Import section, it provides the ability to import a CSV file with all file attachments, as well as upload files manually. In case of the Mageworx Magento 2 product attachments module you have two extension-specific sections: Manage Section and Manage Attachments. The first one provides the ability to split the attachment section of a product page into several sub-sections. The Manage Attachments section of the Magento 2 product attachments extension allows you to view the existing attachments as well as add new ones. 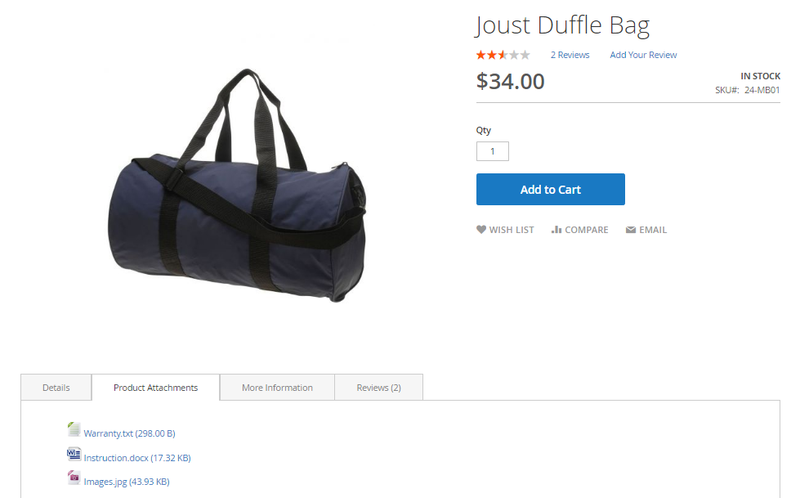 On the attachment page, you can assign them to one or multiple products. In the M-Connect Product Attachment extension, a separate module is provided for uploading and managing the files. There are three sections here: General Information, Store views, and Products. The first section requires input for the file name, the file itself, and its status. Next, you can select the store views for which this particular file is to be displayed. Then, you will have the selection of products with which the file has to be associated. Since the backend sections of the considered Magento 2 product attachments extensions are entirely different, we should say a few words about their usability. Also, the most important thing when it comes to attaching files to product pages is the ability to assign them in bulk. In case of the Amasty Product Attachments Magento 2 extension, there is the “Mass Copy” action right in the Catalog grid. Specify an ID number of a product from which you would like to copy attached files. Next, select where to add these files and apply the action. You can remove all attachments in bulk as well. It is also necessary to mention that the Magento 2 file upload extension allows opening files in a new browser window instead of downloading them. 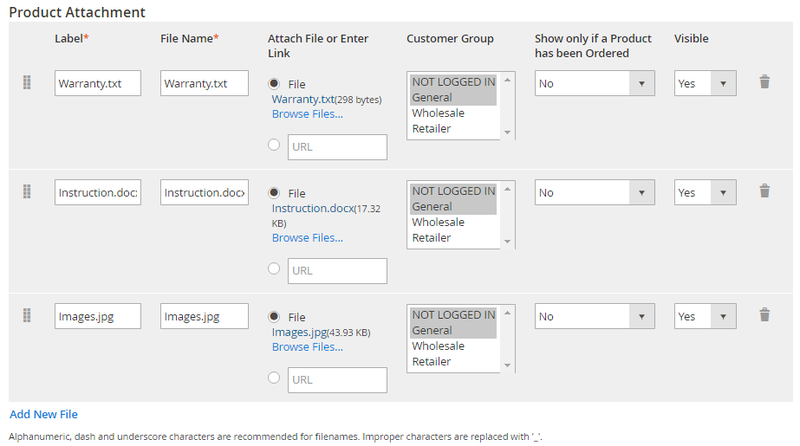 In case of the Magento 2 File Downloads & Product Attachments module by Mageworx, you can assign product attachments to multiple products from the attachment information page via a product grid, product ID, or product SKU. The Product Attachment extension by M-Connect offers slightly different backend usability than the other two competitor extensions. 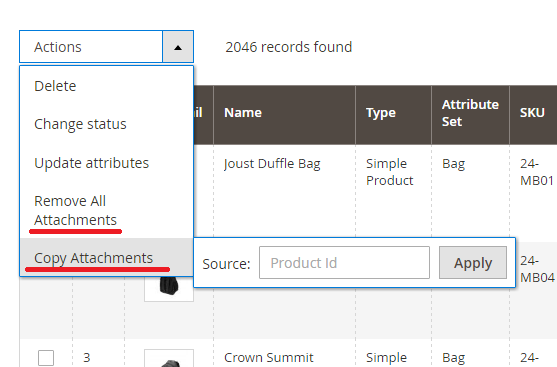 Once the files are uploaded and associated with products, you can also associate attachments to the product from the catalog module. A new tab called “Product File Upload” is added to the product page. It lists the previously attached files, while you can add more with the help of the “Add File” button. Here you have two options, either select from the previously uploaded files or do a fresh upload from your PC. Let’s see what each Magento 2 product attachments extension provides when it comes to the configuration section. In case of Amasty, you can decide whether to display the attachment block on a product page or not. Besides, the Magento 2 product attachments module lets you specify customer groups to which the block will be shown. It is also possible to display the block only after a product is ordered. Next, you can create a block title, select a parent block name in layout, choose sibling name, and position. It is also possible to specify a directory for FTP upload and enable file mime type detection on download (to allow attachments to be opened in a new browser tab). As for Mageworx, the Magento 2 product attachments module enables you to show or hide file size and customize its precision, group attachments by section, choose sort order, show or hide files, specify “How to download” message, display the number of downloads, specify titles for product downloads tab and block, set a limit on file size, and add file download title. The M-Connect Product Attachment extension has a simple and easy-to-use configuration. It requires entering the allowable file extensions so that there is no chance of uploading invalid file extensions. You can choose whether the user needs to login to download the file. 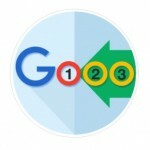 You can also select whether to redirect the user to referrer page after login or not. Also, you can provide custom text for display on successful login. On the frontend, Amasty and Mageworx Magento 2 product attachments extensions have almost the same appearance. You get a new tab with attachments, which contains downloadable files with icons, names, and size. At the same time, Mageworx allows to split attachments between several sections, as well as add a download message. As for the appearance of the M-Connect Product Attachment extension on the frontend, it is the same as two other competitors. A tab called “Product Files” is added to the product page, listing the files associated with it. Each file has an adjoining “Download” option to download the file. It automatically shows the icon corresponding to the file type (admin does not need to add icon images separately). If the admin has set the configuration to log in to be able to download the file, then, when a user clicks on “Download” option, they will be asked to log in. 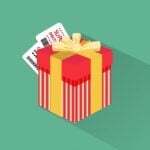 As for the price, you can purchase Amasty’s module for $139, while Mageworx sells its tool for $99. The M-Connect Product Attachment extension is available for $79, the cheapest of all. Installing Amasty Product Attachments, Mageworx File Downloads & Product Attachments, or M-Connect Product Attachment leads to the same results: you get the ability to attach files of any format to product pages. All the Magento 2 product attachments extensions have nearly the same frontend appearance, but there are some nuances. 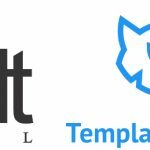 While Amasty supports custom icons, Mageworx enables you to create attachment sections and leave a download message, and M-Connect allows attaching files from the product selection and restricting downloads for not logged in users. From the administrative perspective, the Amasty Magento 2 file upload module seems to be more user-friendly than the Mageworx File Downloads & Product Attachments Magento 2 extension, though this is only our opinion based on previous extension usage. Perhaps, the Mageworx logic will be more suitable for your ecommerce requirements. At the same time, the M-Connect module has a straightforward and a clear interface. If you are on a tight budget and need an easy-to-use product attachment extension with basic features, the M-Connect Product Attachment extension is the best fit for you.